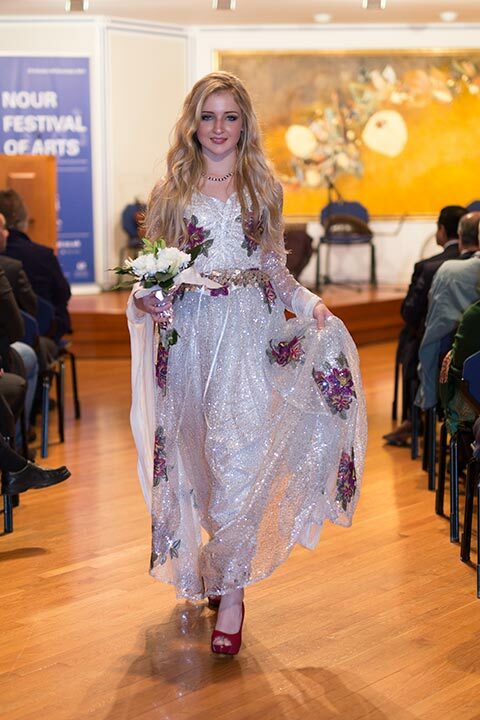 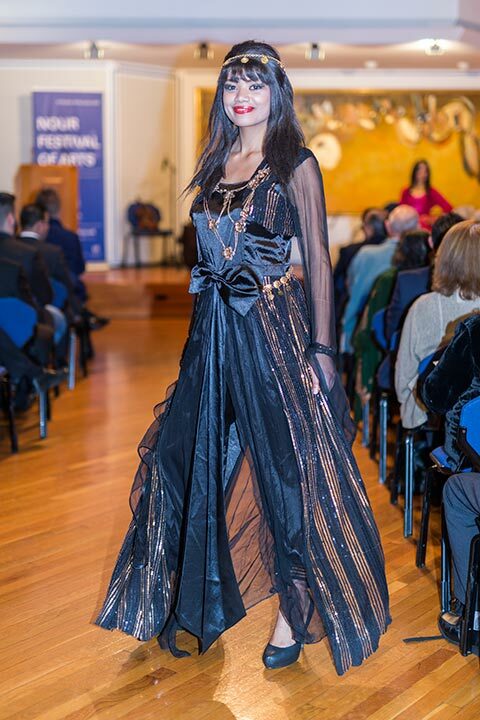 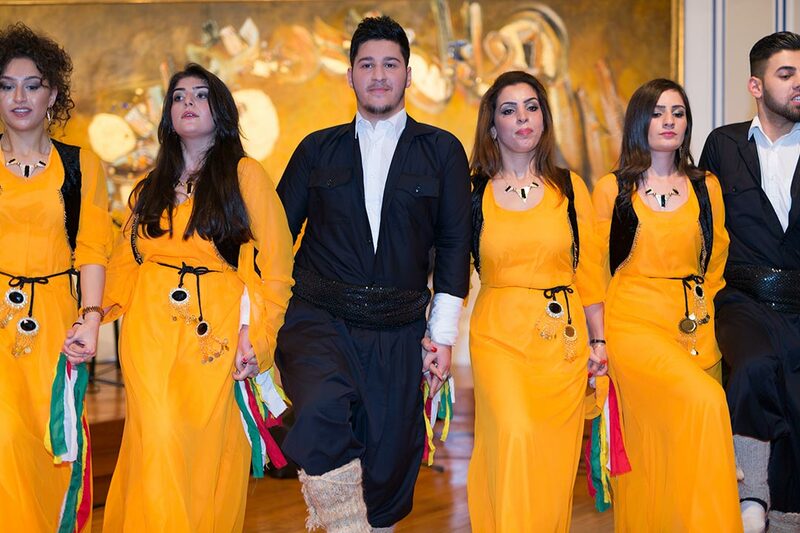 Gulan held an evening of celebration of Kurdish culture featuring costume, music and dance at the Ismaili Centre, South Kensington, on Friday 28th November 2014. 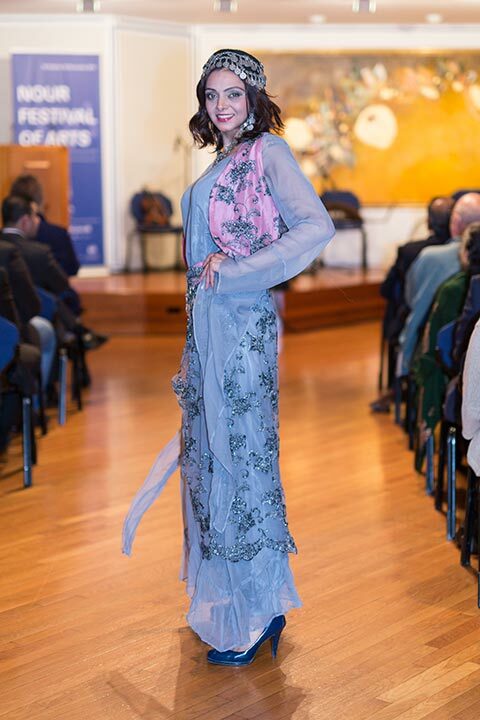 This was during the Across Time and Space exhibition and was part of the Nour Festival of Arts organised by the Royal Borough of Kensington and Chelsea. 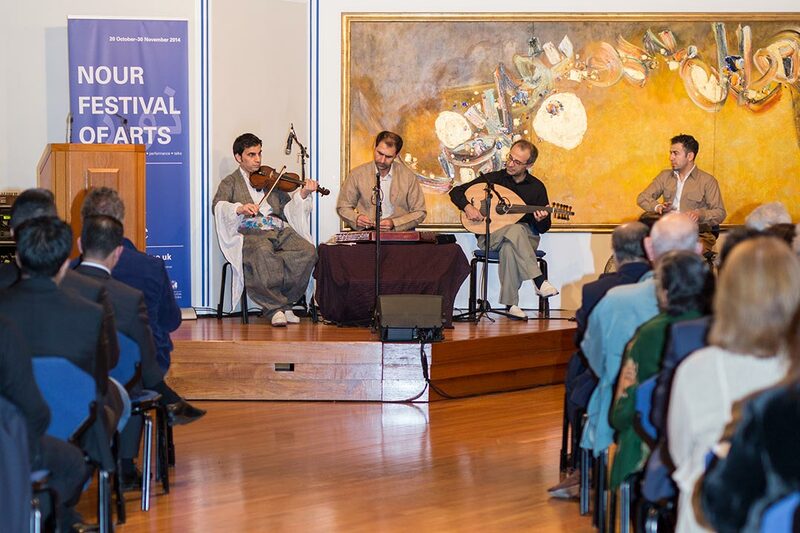 A capacity audience of some 220 people heard Kurdish musicians Sarwat Koyi, violin, Darian Arif, zarb and daf, Koresh Rafie, santur, and Roskar Nasan, lute. 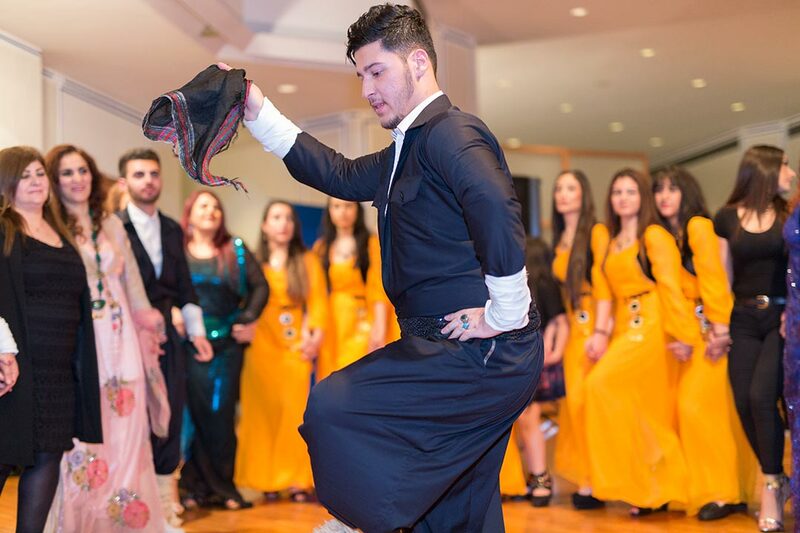 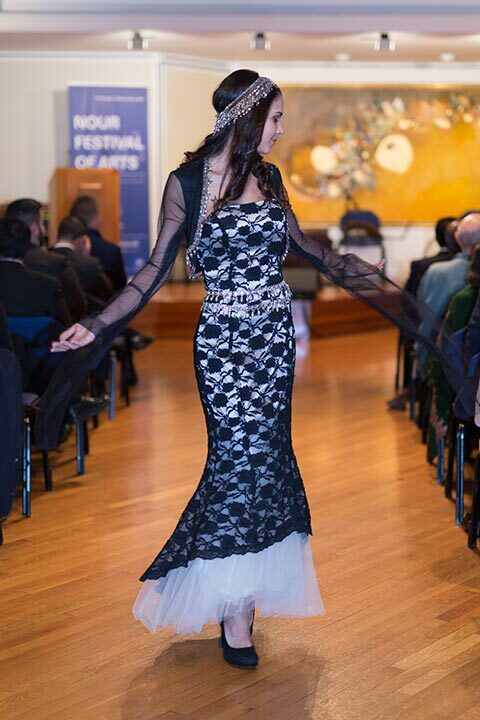 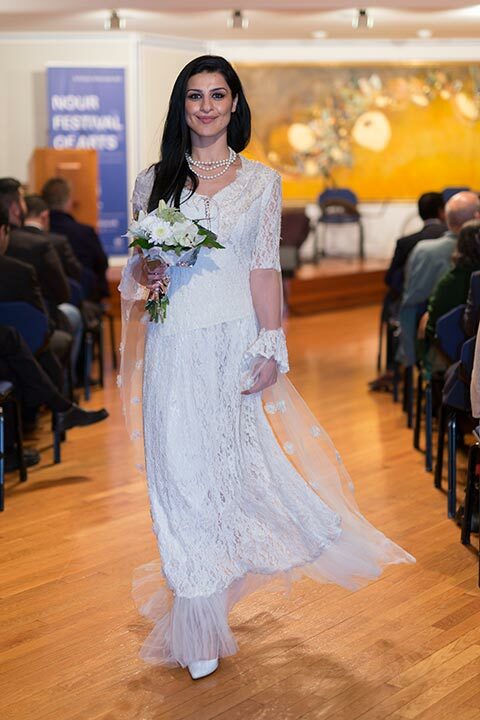 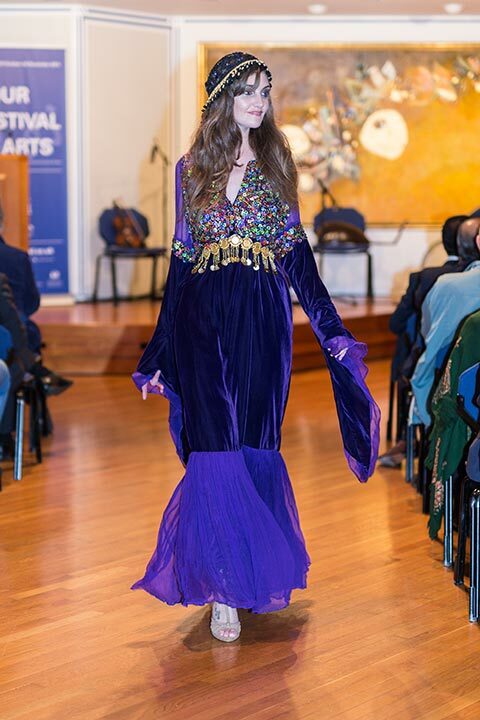 They enjoyed the joyful dancing of Behryan, a group of young Kurdish people engaging in folk dance and established in January 2014 by its leader and choreographer Rizgar Jalal and designer Rasaw Najmaddin, and were delighted by the display of vibrant, colourful contemporary Kurdish fashions by Della Murad, Gulan’s Artistic Director. 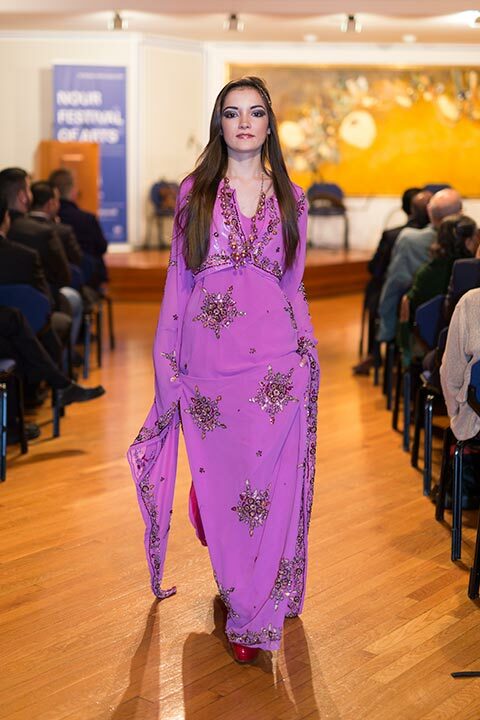 Gulan were delighted to have as their special guests Bayan Rahman, the High Representative of the Kurdistan Regional Government in UK, His Excellency the Iraqi Ambassador Faik Nerweyi, Baroness Emma Nicholson, and members of the council of the Ismaili Centre including Amin Maugi and Iqbal Dhani.